Fabulous ''top of the world'' views! 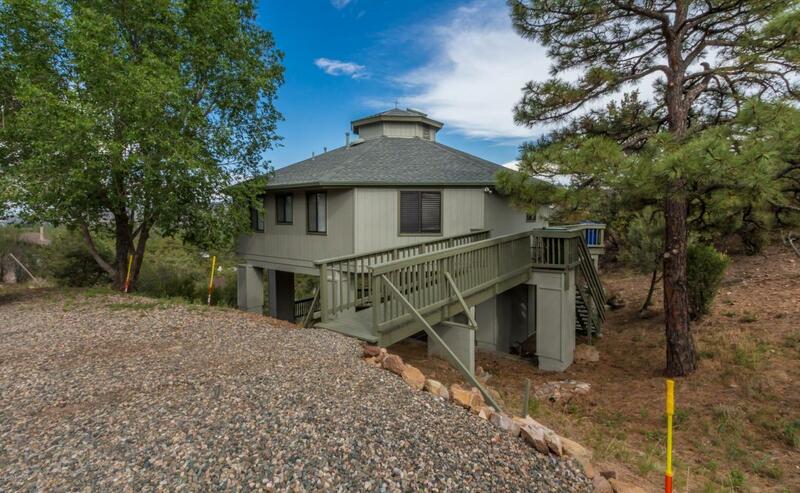 Wonderfully unique ''move in ready home'' just 2 miles to downtown Prescott.Hexagon designed, single level floor plan with amazing views in every direction. This open concept has 3 bedrooms, 2 baths, a wrap around deck for entertaining and relaxing. Just minutes from schools, shopping, Courthouse Square with all city utilities, making this your perfect residence or summer retreat. There is even an extra storage/utility room below and space to create a patio oasis.